The National Legal Adviser of the All Progressives Congress, Muiz Banire says he has been receiving life-threatening messages over his fight against the “imposition” of candidates in the party. Dr. Muiz Banire (SAN), the National Legal Adviser of the All Progressives Congress (APC) has raised an alarm over threat to his life. He said he has been receiving life-threatening messages over his fight against the “imposition” of candidates in the party. Banire has accused the party leadership of working against internal democracy and not allowing popular candidates to represent the APC in Saturday’s local government election in Lagos State. His criticisms have drawn the ire of the top hierarchy of the party but the legal practitioner has refused to back down. In a statement on Monday, Banire alleged that Seyi Oladejo, a commissioner in the state, had concluded plans to mobilise a rally against him for his principled stance. “It has come to my attention that a rent-a-crowd rally is being organised by one Mr Seye Oladejo, former chairman of Mushin local government and the current commissioner for special duties in Lagos state, with the assistance of some elements to destroy the democratic aspirations of the people. The said rally is being planned to hold on Tuesday the 18th day of July 2017,” he said. “It is saddening to note that not satisfied with the several threat to life messages emanating from their quarters and addressed to me to intimidate me, these rudderless agents of anti-democratic practices in Lagos state have perfected plans to carry out a financially-induced protest march against me in order to impose their soulless campaign of imposition of candidates against the people of Lagos state. “We use this medium to reiterate that no amount of campaign of calumny or threat to life shall deter me from maintaining my principled position on the need to allow internal democracy in our great party, All Progressives Congress. “This cannot be compromised on, in order to instill sanity in our democratic experiment and allow progressive development in Nigeria. As the national legal adviser of APC, I am the custodian of the constitution of our great party and the counsellor of the party on legal matters. It would be most destructive to find me lending my weight in favour of imposition of candidates on the members of the party in order to promote a culture of personality cult advancement being nursed and nurtured by the likes of the organisers of this conscienceless rally. 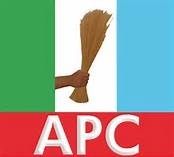 “I hereby notify the general members of the public and our progressive members of APC not to be confused by these agents of dictatorship who would level allegation of anti-democratic stance against other political parties in power but would savour every bit of dictatorship when they hold the reins of power.